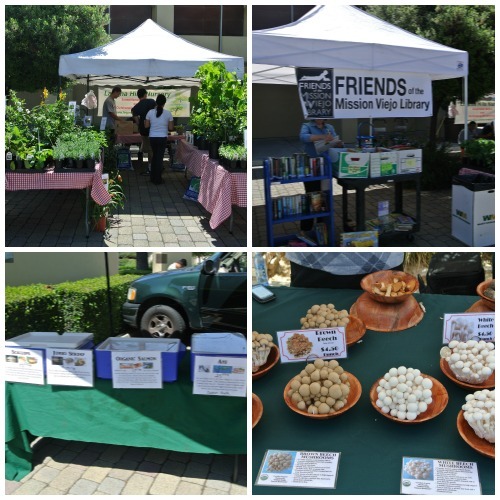 The Laguna Hills Farmers’ Market is open every Friday from 9am-1pm, rain or shine. Vendors set up in the Laguna Hills mall parking lot, close to Sears. The market can be accessed via Avenida De La Carlota, which runs parallel to the 5 freeway. 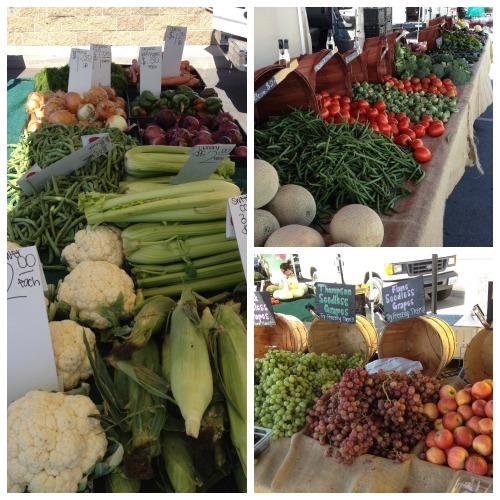 This market is a certified farmers’ market, sponsored by the Orange County Farm Bureau. Every farmer who sells at a certified market is inspected by the county agricultural commissioner to make sure he/she actually grows the commodity being sold. 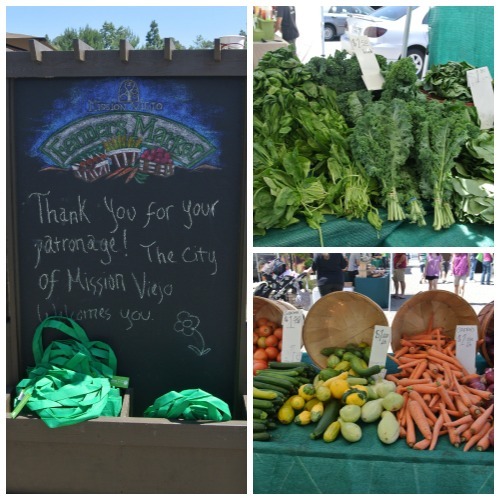 California certified farmers’ markets give you peace of mind that you are buying from genuine farmers, selling produce, nuts and meats directly to the public. I visited for the first time recently, and was really impressed by the selection of organic produce, grass-fed beef, wild-caught fish and more. There are not a lot of non-food items at this market (crafts, snacks, candles, etc.). There is far more quality food than filler, making it an ideal stop for loading up on healthy ingredients for weekend meals. The merchants are friendly, the organic produce selection is first rate, and parking is a breeze. This is one of my favorite farmers markets in Orange County. Pack up your reusable bags and head out there the next Friday you are free. You will not be disappointed. Posted in Farmers Markets and tagged certified, Farmer's Market, grass fed beef, laguna hills, Orange County, organic produce, wild caught fish. Bookmark the permalink. Opening in July of this year, the Foothill Ranch Farmers’ Market is one of Orange County’s newest Markets. Market manager Flo Mudge, a Foothill Ranch resident, is the creator and organizer behind the weekly event. She’s a familiar face at Orange County markets, selling her handmade preserves and confections through her company Edible Creations. More than twenty vendors regularly set up shop from 3 to 7 p.m. Thursdays in the Towne Centre Drive shopping center in Foothill Ranch (in the same parking lot at the Regal movie theater). I brought my son along with me, which was a good thing. We filled up all of my Chico bags with good stuff. 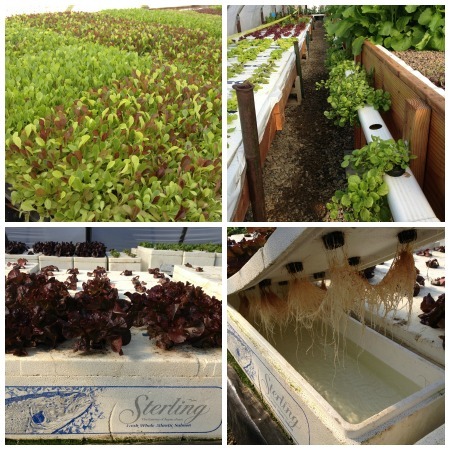 There is more than just local, organic produce. There is also bread from RTR Bakery, grass-fed beef from 5 Bar Beef, milk and dairy products from Rockview Farms, hummus and pita bread from Baba Foods, almonds and almond butter from Hopkins Ag, chips and salsa from Chili Boys, gelato from Dolce Gelato, banana bread from Aloha Grindz, and cookies from Turlio Cookie Company (the Peanut Cake were my son’s favorite). I cooked up a few of the veggies for dinner and was very happy with the freshness and quality. The Aloha Grindz banana bread is delicious. I can’t wait to munch on the almonds, chips and salsa, and pita and hummus this weekend. 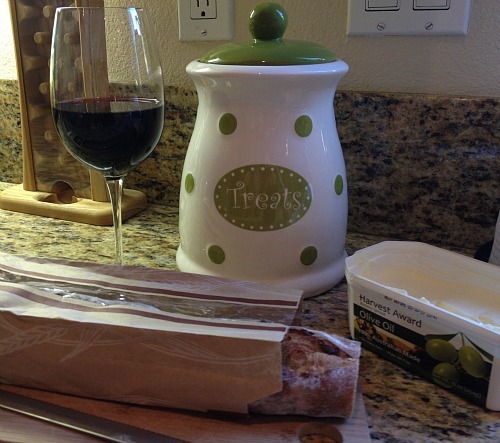 And the nice gentleman at the RTR bakery booth insisted that the bread I bought pairs best with red wine. So, what could I do, I had to oblige him. I have to say, the man knows his bread. 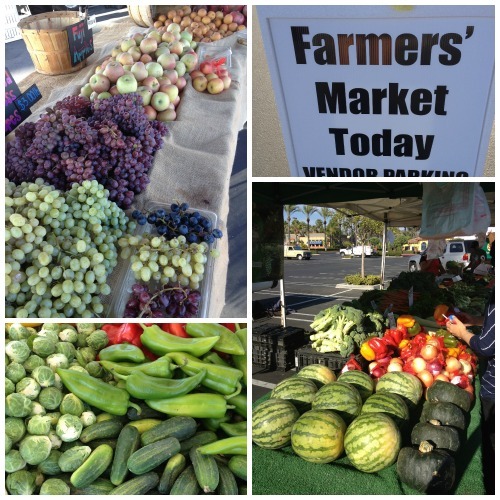 For more information on this new Orange County market, follow Foothill Ranch Certified Farmers’ Market on their Facebook page. A lineup of vendors for each Thursday is also posted on this page of LakeForestPatch site. Posted in Farmers Markets and tagged farmers markets, Foothill Ranch, green, locations, Orange County, organic, produce, reviews. Bookmark the permalink. I love discovering new Farmers’ Markets. There are many throughout Orange County. My goal is to find and report on each and every one – well, eventually. 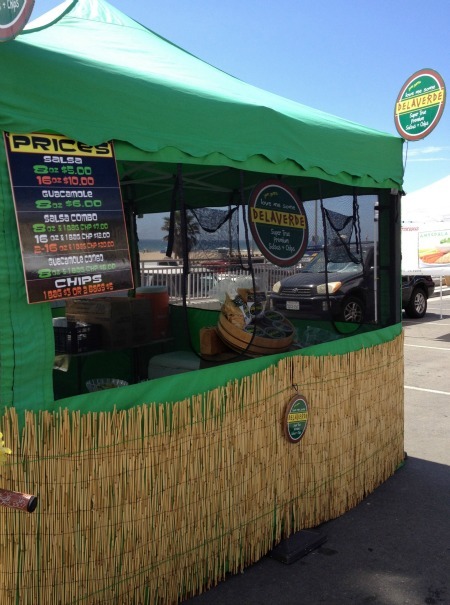 Last week, I happened upon the Huntington Beach Farmer’s Market at Huntington Pier. Held Friday afternoons in Huntington Beach at the Pier Plaza parking lot (just north of the HB pier), it runs from Noon to Five. The Farmers’ Market runs year-round, except during the U.S. Open in late July. Other offerings include sustainable seafood, locally-grown flowers and some great healthy snack items. My favorite find of the day was Delaverde chips, salsa and guacamole. Wow, this stuff is good. Made locally with small distribution just in OC, this is a real find. The guacamole is the only guac. I have ever purchased that actually tastes like homemade. It’s locally made, with fresh ingredients, and preservative-free. 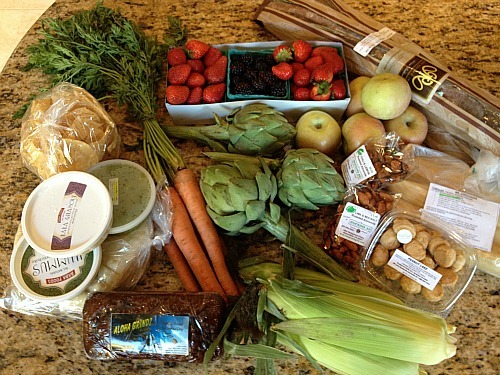 If you visit the HB Farmers’ Market, make sure you pick some of this stuff up. You won’t be disappointed. This Farmers’ Market is often held in conjunction with a shopping fair of hand-crafted gift items such as jewelry, clothing, rugs, artwork, plaques, home decor and much more from around 50 – 100 crafters. We ventured to the craft fair next door and checked out lots of locally made goods as well. And shopping right on the beach with a beautiful ocean breeze – you can’t go wrong. 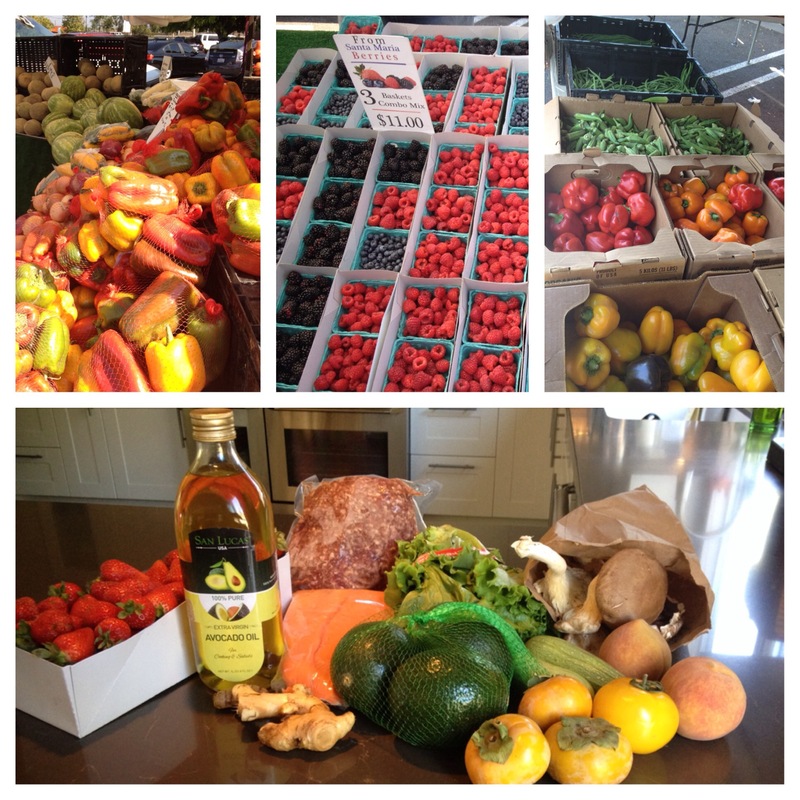 So, which Orange County Farmer’s Market to visit next? Anyone have suggestions? Would love to hear about the markets you have visited in your area and what you recommend. Posted in Farmers Markets and tagged chips, Delaverde, Farmer's Market, green, guacamole, Huntington Beach, Orange County, organic produce, salsa. Bookmark the permalink.